Welcome to my new feature! What is Signature Saturday you ask? Well it is no surprise that I love collecting autographs in my favorite books. I wanted a way to share my collection with everyone in a fun way so one not showcase a book each Saturday? 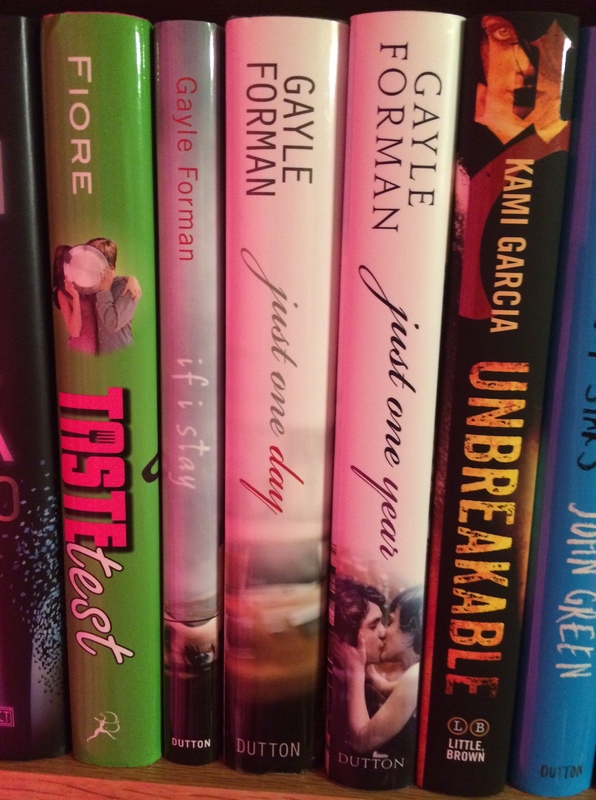 On top of showing you the signature on the inside I will also show you where the book is currently featured my bookshelf. ONTO THE FUN! 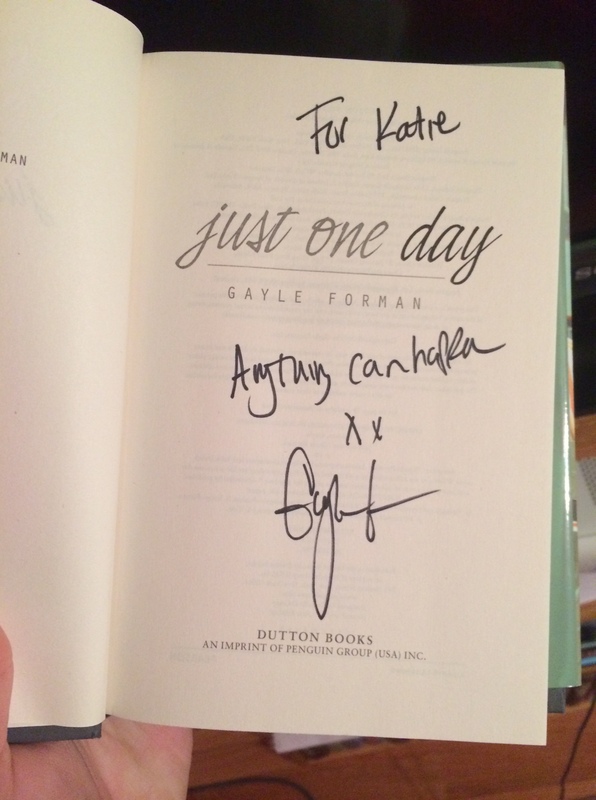 This week I’m featuring…Just One Day by Gayle Forman! 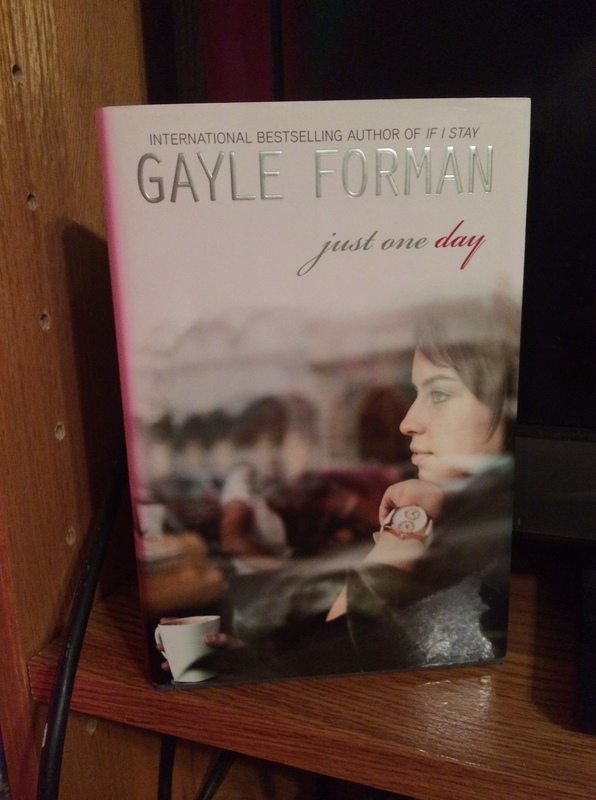 Just One Day is of course right between my other 2 read Gayle Forman books! I know I’ve seen similar features on other blogs but none that are identical. If you do know of one let me know and I have no problem linking back to them! I have yet to read those books, but Gayle Forman will be coming to our country and I’m hoping to get signed copies of the If I Stay series. I’m stilling thinking about the Just One Day series because I haven’t read it and the bookstore set a higher price for it as compared to the other bookstore I frequent. Signature Sunday is really cool! 🙂 I love how Gayle Forman signed Just One Day.